November 6, 2015 by Ken Ward Jr. This is an update by Joel Ebert, who is covering the Don Blankenship trial with Ken Ward Jr.
Today the Gazette-Mail sent a letter to U.S. District Judge Irene Berger. The purpose of the letter was to express frustration with the continued use of bench conferences with attorneys for the defense and prosecution during the criminal trial of former Massey Energy CEO Don Blankenship. In the letter, we essentially asked for access to transcripts of what is discussed in the private meetings that have been a regular occurrence throughout the trial, even when the jury isn’t present in the courtroom. We also asked for access to the voir dire transcripts from jury selection and copies of the responses to the jury questionnaires that were sent out. As of this afternoon, we have not heard back from Judge Berger. To read the full letter to Berger, click here. 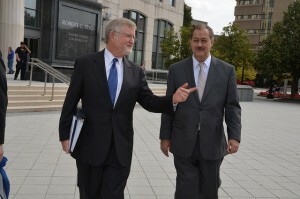 Defense attorneys made two new court filings in the criminal trial of Don Blankenship today. The first is a motion by the defense to allow them to use a video recording of a meeting at Scott High School on August 1, 2009. The subject of the four-and-a-half hour meeting was Massey Energy’s hazard elimination program. The defense first tried to admit the video into evidence but their efforts were blocked by U.S. District Judge Irene Berger when she made a ruling on Oct. 28. Following Berger’s ruling, earlier this week (Nov. 2) the defense attempted to edit the video down and remove certain aspects of the video in order to allow it to be admitted into evidence. The argument that the meeting is puffery or that it was staged, while neither of which is true, go only to the weight, not the admissibility of the video. Indeed, while the government has repeatedly attempted to characterize the Hazard Elimination Program Kick-Off Meeting as a sham – argument that by its very nature opens the door to allowing the jury to actually see what occurred at the meeting – the jury must be allowed to see the evidence that contradicts that assertion and to weigh the evidence itself to decide whether the “puffery” and “opinions” actually represent the true intent, motive, and state of mind behind the Hazard Elimination Program efforts. For the second time, Berger ruled against allowing the edited version of the video to be used as evidence. In their latest motion regarding the video, which was filed today, the defense points to testimony from former U.S Mine Safety and Health Administration and Massey Energy ventilation expert Bill Ross. Now that Bill Ross has testified – and documents have been admitted opining – that a new approach to safety compliance was necessary, video of the meeting that initiated such a new approach must be admitted. Likewise, now that Bill Ross has testified – and documents have been admitted indicating – that unnamed persons took the approach of “run, run, run, until you get caught,” video of the meeting showing the sincerity and intensity with which Massey executive management rejected that approach and instructed its members to do the exact opposite must be admitted. And now that the government has attempted to show that Mr. Ross’s opinions were secreted away, video of the meeting shows that they were not. Moreover, on two separate occasions in his direct testimony (including during testimony about Government Exhibit 191), Mr. Ross halted his testimony, became visibly emotional, and wiped tears from eyes, as the courtroom remained silent with all attention fixed on him. In response, family members of the deceased miners became emotional as well, in full sight of the jury. The Court having denied the defense request for a mistrial based on this, which the defense hereby renews, the video is necessary evidence. To read the defense’s entire motion regarding the video, click here. In addition to their motion, the defense also included an attendance sheet of all those who were at the hazard elimination program meeting, which you can view here. The defense also provided a 93-page transcript of the entire meeting, which you can read here. The second motion filed by the defense today is an attempt to compel MSHA to comply with a subpoena issued by the court on Sept. 9 and to force the government to hand over all material related to that subpoena. The defense makes this motion because it recently learned of the destruction of documents regarding the Upper Big Branch Mine (“UBB”) by MSHA employee Joseph Mackowiak. Along with their latest motion, the defense included exhibits of delcarations from Ross, Independence Coal Company vice president Phillip Ellis and Joseph Mackowiak, who worked as MSHA’s ventilation group supervisor from June 2008 to June 2011. To read the defense’s motion to compel the government and MSHA to provide them with the records obtained from the Sept. 9 subpoena, click here. Blankenship update: Ross finished on the stand? This morning’s session of the Don Blankenship trial ended with Assistant U.S. Attorney Steve Ruby completing his re-direct examination of former Massey Energy ventilation expert Bill Ross. It appears that nothing has changed or is going to change until WE change! The company wasn’t serious as to doing the right thing! After Ruby said he had no further questions, U.S. District Judge Irene Berger asked lead defense lawyer Bill Taylor if he had a motion. Taylor indicated he did, and asked if he should approach for a private bench conference. While the jury sat in its box and Ross on the witness stand, the judge heard from both lawyers for about about 25 minutes. Then, she dismissed the jury for lunch, but kept the lawyers in the room and instructed Ross to leave the courtroom. Assistant U.S Attorney Steve Ruby continued his redirect examination of former Massey Energy ventilation expert Bill Ross this morning trying to respond to defense efforts to convince jurors that the federal Mine Safety and Health administration wrongly refused to allow Massey to continue using belt air as part of a ventilation plan for a new longwall section at the UBB mine. Ross testified that MSHA allowed Massey to keep using belt air – in which fresh air is brought into the mine through the same tunnels as coal conveyer belts – even though the company had not provided adequate information justifying the practice. Ruby had Ross read to the jury from MSHA records that outlined the findings of a national study of belt air mandated by Congress after the death of two miners in a January 2006 belt fire at Massey’s Aracoma Mine in Logan County. 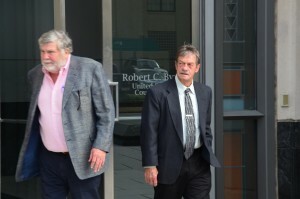 Ross read the jury MSHA records that cautioned agency staff to “take special care” when considering belt air proposals. MSHA staff were told to require a variety of data to support coal company applications to use the practice, Ross said. Ross testified that Massey couldn’t get that information together quickly enough for the company’s hoped-for start day for the new longwall section. Ross also read aloud from previously discussed exhibits that showed former Massey Energy CEO Don Blankenship personally rejected a proposal for a new air shaft that Ross agreed would have helped cure UBB’s ventilation problems. Ross also testified again about his concerns that Massey didn’t provide its mines enough workers to keep up with safety laws. “The mine grows as you produce and when you look at that much area – rock dust, air flow, roof support, ventilation – you can keep advancing as it grows, you have to consider the need for upkeep and support and ventilation,” Ross said. When Berger dismissed jurors for a mid-morning break, she asked one of the 15 jurors, identified only as “Mr. Rose” to come to the bench. The judge then held a private discussion with that juror and lawyers for both sides with “white nose” playing in the courtroom so the public could not hear what was said. 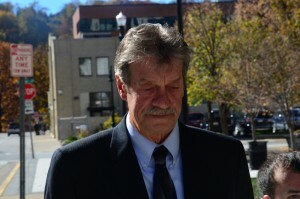 November 5, 2015 by Ken Ward Jr.
Today’s proceedings in the Don Blankenship trial ended as Assistant U.S. Attorney Steve Ruby continued his re-direct examination of former Massey Energy ventilation expert Bill Ross. Among other things, Ruby was asking Ross about cross-examination that appeared aimed at blaming some of Massey’s problems on coal miners who complained about having to perform work — such as cleaning up spilled coal or rock-dusting — that wasn’t specifically part of their job description. Ruby began questioning Ross again after defense lawyer Bill Taylor completed his cross-examination of Ross. The jury returns at 9 a.m. on Friday. Defense lawyers for Don Blankenship alleged this afternoon that the federal government may have destroyed records that are important to the former Massey CEO’s case. Bill Taylor, Blankenship’s lead defense lawyer, pointed to a statement that former Massey ventilation supervisor Bill Ross gave during a public records lawsuit several years ago against MSHA, that his former secretary at the agency told him documents from the ventilation department had been destroyed. Defense layers apparently made a motion about the issue Wednesday, but the precise nature of that motion was unclear because it was made during a private bench conference. After sending jurors out of the courtroom for a break, U.S. District Judge Irene Berger questioned Ross briefly about the matter. Taylor later explained to the judge that the controversy relates to a history of methane “outbursts” at the Upper Big Branch mine during the disaster probe, then-MSHA district manager Bob Hardman discovered records about those incidents slipped under his door. Blankenship argues the mine disaster was caused by an uncontrollable methane outburst. Four independent and government investigations have disagreed with that argument — and Berger has said the cause of the disaster isn’t at issue in Blankenship’s trial. 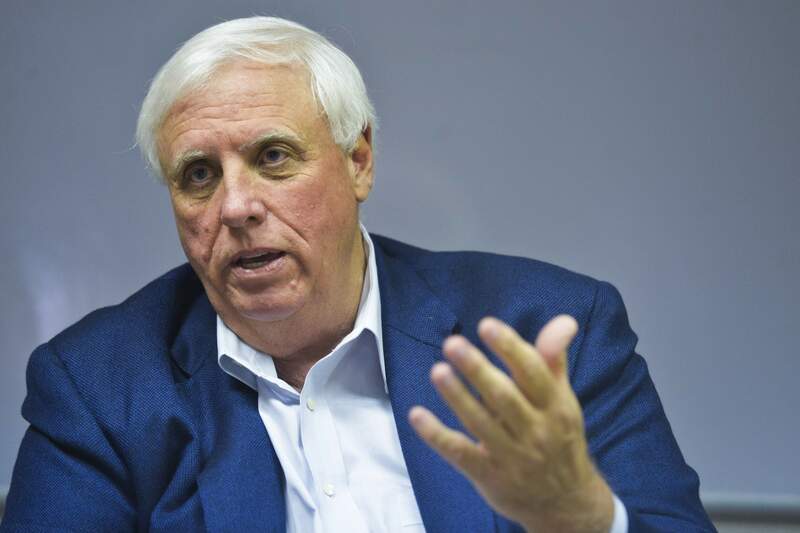 Taylor, though, said that the Ross statement in Massey’s lawsuit against MSHA raises questions about whether documents the defense is entitled to were destroyed. Taylor noted that the defense has repeatedly complained that MSHA has not complied with the defense’s document request. Former Massey official Bill Ross, right, leaves the federal courthouse with his lawyer, Mike Gibson, for the lunch-time break in the Don Blankenship trial. Photo by Joel Ebert. As jurors in the Don Blankenship trial took a break today for lunch, defense lawyer Bill Taylor was continuing his cross-examination of key government witness Bill Ross, a former Massey Energy insider who had urged Blankenship to make major safety reforms in the months prior to the Upper Big Branch Mine Disaster (see here and here). After spending the first half of the morning using Ross to go after the U.S. Mine Safety and Health Administration, Taylor began to try to discredit some of the things Ross had to say about Massey’s safety practices. For example, Taylor got Ross to admit that, while he complained about under-staffing at Massey mines, Ross had never really studied any of the staffing levels at the mines and wasn’t even really aware of exactly how the mines were staffed. The numbers you are asking about were not relevant to what I was doing. I was trying to address Massey, and to reduce our violations. Ross, a former MSHA inspector, also testified that he thought some of Massey’s complaints about MSHA taking too long to consider requests for new mining plans were justified, and said he had urged top Massey officials to complain to agency higher-ups in Arlington, Va., about those delays. The jury is expected back at 1:20 p.m.
Former Massey Energy CEO Don Blankenship’s defense lawyers returned this morning to their efforts to blame problems at the Upper Big Branch Mine on the U.S. Mine Safety and Health Administration. 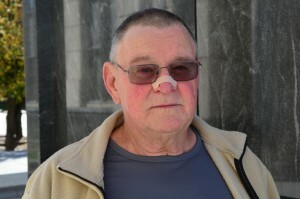 Lead defense lawyer Bill Taylor resumed his cross-examination of former Massey ventilation expert Bill Ross with a series of questions about Massey’s dispute in 2009 with MSHA over the use of “belt air” ventilation on a new longwall mining section at UBB. 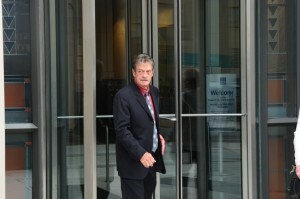 In doing so, Taylor took Ross right into the heart of Blankenship’s personal theory of the cause of the April 2010 explosion at UBB – an issue that U.S. District Judge Irene Berger has said she would not allow to be debated before the jury. Ross testified that he felt UBB needed to continue using belt air – in which fresh air intakes double as conveyer belt tunnels – because of the mine’s rate of liberation of explosive methane gas. 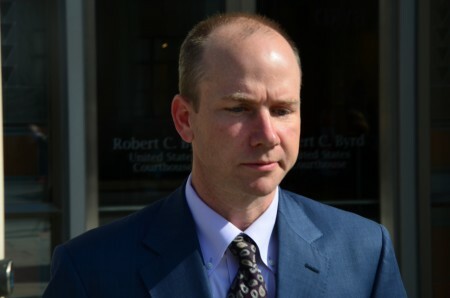 Ross said that he “begged” MSHA to allow UBB to continue using belt air but that agency officials were “adamant” they would not approve that type of ventilation for the new longwall section (previous testimony has indicated MSHA only briefly pushed UBB to stop using belt air and reversed that decision when the plan didn’t work). 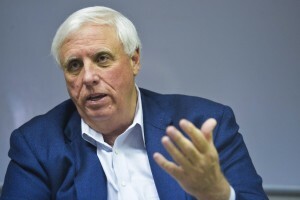 Assistant U.S. Attorney Steve Ruby objected and Berger sustained the objection when Taylor tried to ask Ross about the details of the “history” of “incidents” at UBB, likely a reference to several methane “outbursts” at the mine. Blankenship claims the UBB explosion was caused by an uncontrollable methane inundation, not negligence by Massey. Ross testified that there were dangers to belt air but that UBB’s methane liberation made using the technique necessary. Justice denies the scientific consensus that climate change is happening and is caused by human activity. “There’s documentation that would give one concern, and I don’t think you should ignore that,” he said. “At the same time, I think there’s an awful lot of research that still should be done. 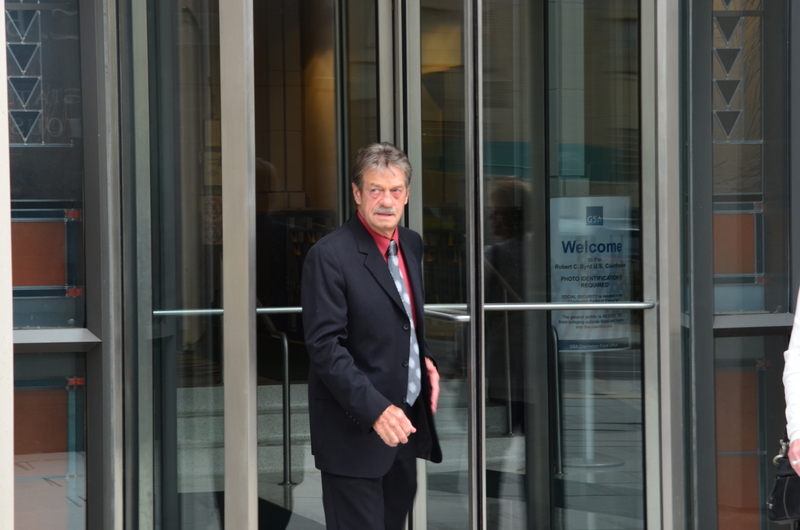 November 4, 2015 by Ken Ward Jr.
Former Massey Energy insider Bill Ross warned CEO Don Blankenship that the company risked a disaster if it didn’t reform its mine safety program, the jury in Blankenship’s criminal trial heard this afternoon. Ross described for jurors a meeting he had with Blankenship in the summer 2009 after Ross wrote a series of memos that outlined growing violations at Massey operations. Assistant U.S. Attorney Steve Ruby allowed that quote to close out his direct examination of Ross, a key prosecution witness against Blankenship. When US District Judge Irene Berger gave the jury its regular afternoon break, defense attorney Bill Taylor had just begun his cross-examination of Ross. Taylor was starting out by asking Ross a series of questions about what the defense is promoting as important Massey safety innovations, such as reflective clothing, that weren’t required by federal rules. Earlier, Ruby asked Ross to read from a selection of daily violation reports that were sent to Blankenship and other Massey officials. On Tuesday, Ruby and U.S. Attorney Booth Goodwin had lugged copies of the daily reports – in five thick three-ringed binders – to the court clerk and to defense lawyers. The reports showed Blankenship being told that violations continued in large numbers even after a new company hazard elimination program was launched in August 2009. One report, for example, showed 330 violations cited at the Upper Big Branch Mining group, in the three months prior to the April 2010 explosion that killed 29 miners at UBB. In an accompanying memo, Ross said that the new hazard elimination program “shows no sign of acceptance” among Massey foremen. “We continued to set up our mines to fail,” Ross wrote. 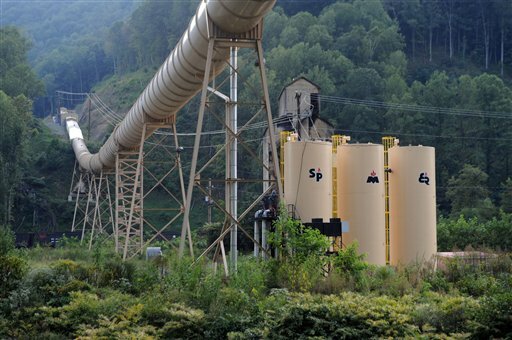 A former Massey Energy insider said this morning he had hoped his warnings about serious safety problems would be shared with all Massey employees as part of a wholesale effort to improve the company’s performance. Bill Ross, a former Massey ventilation expert, choked up on the witness stand as he testified for a second day in the criminal trial of former Massey CEO Don Blankenship. Jurors then heard again a recording of a telephone call in which Blankenship worried that the Ross memo would be damaging if it came to light in any litigation following an injury or death at a Massey mine. Ross was unable to identify any specific safety changes that Massey made in response to his recommendations. Assistant U.S. Attorney Steve Ruby tried to ask Ross how federal agents ended up obtaining his memos. Lead defense attorney Bill Taylor objected. U.S. District Judge Irene berger held a private conference with attorneys at her bench. After a few minutes, Berger called a recess and had the jury taken out of the courtroom. Even after jurors had left, the judge continued the private discussion with attorneys at her bench with a “white-noise” machine turned on so the public and the press could not hear what was said. November 3, 2015 by Ken Ward Jr. The jury in the Don Blankenship trial this afternoon began hearing from Bill Ross, a former Massey Energy ventilation expert, who warned Blankenship about growing safety problems at Massey nearly a year before the Upper Big Branch mine disaster. Under questions from Assistant U.S. Attorney Steve Ruby, Ross testified about safety warnings he gave to Blankenship and other Massey officials in June 2009. Ruby walked Ross through a now-widely publicized memo line-by-line and asked him to explain issues about mine ventilation, dust control, and Massey’s hostile relationship with the U.S. Mine Safety and Health Administration. After reaching the end of each page of the memo, Ruby would have Ross read aloud a warning that the document was to be kept confidential. Former Massey Energy official Bill Ross — a major witness against Don Blankenship — as he leaves the federal building in Charleston at lunchtime Tuesday. Photo by Joel Ebert. This afternoon should be a major moment in the criminal trial of former Massey Energy CEO Don Blankenship. When court resumes at 1:30 p.m., Assistant U.S. Attorney Steve Ruby is expected to call to the witness stand Bill Ross — a former MSHA official who after he retired from government service went to work for Massey as a mine ventilation expert. Readers who are closely following the case know that Ross became an internal whistle-blower of sorts, raising serious concerns about deteriorating safety conditions at Massey operations. We know this — and the government knows it — in part because a memo outlining Ross’s concerns came out when Blankenship sued Alpha Natural Resources to try to force Alpha, which bought Massey in June 2011, to continue paying Blankenship’s legal defense costs. The memo that became public prior to trial, when Blankenship’s defense team filed a motion to try to keep prosecutors from talking about it in their opening statement. But not to be deterred, lead defense lawyer Bill Taylor gave it another shot late this morning, arguing that U.S. District Judge Irene Berger should seriously limit any testimony from Ross about what even Judge Berger is now calling “The Ross Memo.” Taylor asked for time to argue the issue again, just before prosecutors called Ross to the stand, and Judge Berger sent the jury out for more than a half-hour so she could hear from the attorneys. Taylor urged Berger to allow Ross to be questioned only about parts of the memo. He proposed a “redacted” version with off-limits portions removed. He also said the government should not be able to discuss in front of the jury the issue of efforts by Massey to keep Ross’s concerns secret, as privileged material protected because of a Massey lawyer’s involvement in discussions with Ross. Ruby responded that “The Ross Memo” had already been admitted into evidence in the case — and that the defense was simply trying to re-argue an issue it had already lost. Judge Berger heard these arguments publicly — with the jury out of the room — for a few minutes. Then, she held another fairly lengthy bench conference, a private discussion with the attorneys that the public can’t hear. Then, the judge sent the jurors back to their counsel tables and ruled publicly. These are coming in to show that the defendant had knowledge and notice — whatever he may have done with it. We mentioned yesterday that a transcript of the grand jury testimony of former Performance Coal Co. President Chris Blanchard was publicly filed — and then removed — from the U.S. District Court computer docket for the Don Blankenship criminal case. For reasons appearing to the Court, it is hereby ORDERED that Document 472-1 be placed UNDER SEAL. The thing is, the transcript is already posted on the Internet here. We obtained it many months ago when the defense lawyers for Blankenship filed a copy of it publicly, and then the court removed it from the PACER system’s public offerings. And it’s actually posted twice — because we downloaded the latest publicly filed copy of it yesterday (before the court removed it) and posted that version here. Following the conclusion of Harold Hayhurst’s testimony, the government called its next witness, Charles Lilly, a former security guard at Upper Big Branch. Lilly told jurors that at one point in 2007, a U.S. Mine Safety and Health Administration inspector overheard him warning underground miners that another MSHA inspector had arrived at the UBB mine. The MSHA inspector then approached Lilly and told him the practice was illegal. Lilly wrote an incident report, which was delivered to his boss, Hughie Elbert Stover. From there, Lilly said he would no longer partake in the practice of advance warning to underground miners unless the mine’s lawyers told him he could do so. The prosecution ended its questioning of Lilly at about 10:40 a.m. Tuesday, and the jury was dismissed for their morning break. 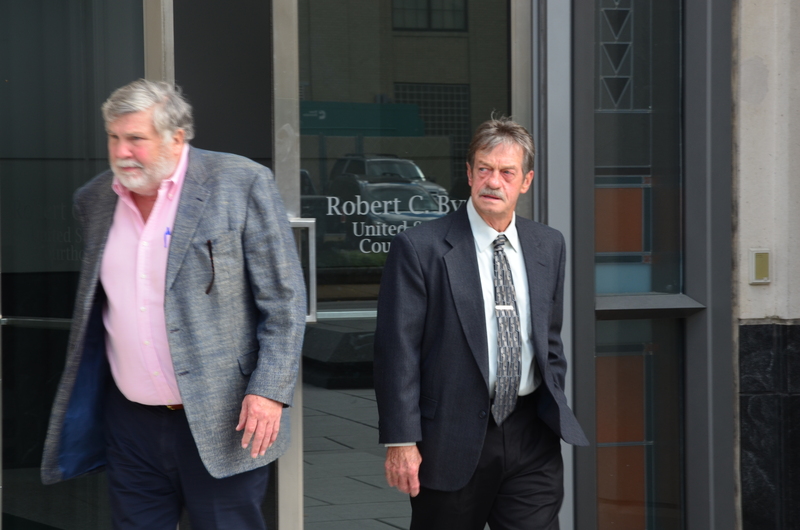 At that point, defense attorney Bill Taylor asked that the court stand in recess prior to the government calling its next witness, former MSHA official and Massey mine safety expert Bill Ross. Court was expected to resume at 11 a.m. Lilly has yet to undergo cross-examination. Here’s a photo of Lilly I took after defense attorney finished his cross-examination and U.S. Attorney Booth Goodwin did his redirect. A federal mine inspector testified today that he never told Massey Energy official Chris Blanchard that it was illegal to call underground and inform Massey miners that a government inspector was heading their way. Harold Hayhurst, a 17-year veteran of the U.S. Mine Safety and Health Administration, said he was trained from the start of his career that such warnings were against the law. Hayhurst took the stand this morning as the criminal trial of ex-Massey CEO Don Blankenship entered its 18th day of testimony. Defense lawyers were not allowed — as they had requested Friday — to re-cross examine Blanchard, but U.S. District Judge Irene Berger did not publicly explain her reason for that decision, or even mention in the jury’s presence that she had ruled on the matter. 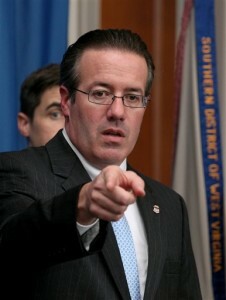 Assistant U.S. Attorney Greg McVey called Hayhurst to counter earlier testimony by Blanchard that an MSHA inspector, later identified as Hayhurst, had told him that inspections start when inspectors arrive on mine property, so that guards or dispatchers calling underground to alert miners was not against the law. The charges against Blankenship include conspiracy to hinder MSHA by providing advance notice of inspections. Today Hayhurst first testified that inspections start when inspectors arrive on mine property, but then said they start when inspectors review a mine file while still in their MSHA offices. Hayhurst insisted today that the conversation Blanchard described never occurred. “I don’t recall a conversation like that and I don’t think I would have told him wrong,” Hayhurst said. November 2, 2015 by Ken Ward Jr.
There’s another new filing today in the criminal trial of Don Blankenship. Defense attorneys have asked U.S. District Judge Irene Berger to strike from the case Government’s Exhibit 83, which is an email in which Massey safety official Elizabeth Chamberlin was sending Blankenship a comparison of Massey’s safety record to a variety of other coal companies. The total number of citations and orders issued to all Massey mines and facilities regulated by MSHA and how they compare to the number of citations and orders issued to other companies is not relevant to any count of the indictment. Count One of the indictment is expressly limited to conduct at the UBB mine and does not concern any other Massey or non-Massey coal mine or facility. Defense lawyers for Don Blankenship have filed a response to the government’s continued effort to keep jurors in the former Massey CEO’s criminal trial from being shown a video of a Massey safety meeting. Defendant Donald L. Blankenship respectfully opposes the motion of the United States to exclude portions of the video recording of the meeting at Scott High School on August 1, 2009. The grounds for excluding the excerpts are similar to those which the government urged to exclude the larger tape of the four-and-a-half hour meeting. The government argued that the tape of the meeting was inadmissible because it contained hearsay and was puffery, among other reasons. As an initial matter, the excerpts are directives (i.e., directions to the mine management at Upper Big Branch and Massey’s other mines) to eliminate hazards and to cease production to do so and, therefore, do not constitute hearsay, as they are not assertions offered for the truth of the matter asserted. Additionally, the hearsay rule no more precludes the video than it does testimony of what people did and said at the meeting. The fact of the meeting and the things said there are material to Mr. Blankenship’s defense. Evidence which shows intent, motive, or state of mind, as all of it does, is not hearsay. With no trial proceedings today, attorneys in the Don Blankenship criminal case are still busy. Yesterday evening, government prosecutors filed two new legal briefs: One aimed at continuing to keep the jury from seeing a video of Massey Energy safety meeting, and another that argues against allowing defense lawyers another shot at questioning former Performance Coal Co. President Chris Blanchard. The fragmented clips of five different Massey executives (Chris Adkins, Mike Snelling, Keith Hainer, Jason Whitehead, and Elizabeth Chamberlin) are objectionable for the same reasons the earlier video was held inadmissible. The out-of-court statements are general puffery and opinion being offered for their truth. They are part of a scripted, videotaped, exculpatory presentation orchestrated by a company conscious of the value of generating helpful evidence in the event of future litigation. The danger of the statements being considered for an improper purpose outweighs what little probative value, if any, they hold. Friday evening update: Will Blanchard be back? 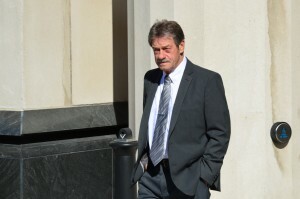 October 30, 2015 by Ken Ward Jr.
Friday’s session of court in the Don Blankenship criminal trial appeared to be over. Assistant U.S. Attorney Steve Ruby had completed his re-direct examination of Blanchard (see here, here and here), the former president of Performance Coal Co., the Massey Energy unit that operated the Upper Big Branch Mine. People were packing up. U.S. District Judge Irene Berger was getting ready to dismiss the jury. So Blanchard left the witness stand — where he’s been testifying since last Thursday — and started walking out of the courtroom. Then lead Blankenship defense lawyer Bill Taylor jumped from his table with a stack of papers in his hand and asked to approach the bench. Lawyers for both sides huddled with Judge Berger in another of the trial’s frequent private conferences. About then, Blanchard appeared to figure out something was up, and one of his attorneys, Ben Bailey, told him to head on back up to the witness stand. After a few minutes, Judge Berger dismissed the jury for the weekend. Then, she continued the legal argument in public session — giving the rest of us a chance to hear what was going on. Taylor — citing a long list of what he said were “new” avenues of inquiry by the prosecution on re-direct — wants the opportunity to re-cross examination Blanchard. Taylor mentioned several dozen MSHA citations that Ruby asked Blanchard about and Ruby’s questions to Blanchard about Blanchard’s grand jury testimony, among other things. Ruby opposed the request, saying none of those items were really new. Judge Berger said she would notify the parties of her decision on Monday. There’s no court on Monday, and the trial resumes at 9 a.m. Tuesday at the Robert C. Byrd United States Courthouse here in Charleston.